I am going to be honest here. Very honest. I have stayed away from reading/reviewing British police mysteries. I didn’t understand how the British police worked. I decided to bite the bullet with Persons Unknown. Instead of getting my toes wet, I jumped in feet first. While I did get a little confused over the backstory with Manon and Fly, I enjoyed reading this book. I will warn everyone that this is a 2nd book the DS Manon series. You need to read Missing, Presumed to understand the backstory of Persons Unknown. I didn’t and I felt that I was missing out on a major part of the back story. It was discussed in the book but it wasn’t the same as reading about it in the first book. The whodunit with John-Oliver was intense. I didn’t believe for a minute that Fly killed him. They were building their case on circumstantial evidence. When it was revealed who killed him and who was involved in it, I was pretty surprised. I did figure out one part of it (when Angel told her story to Birdie). The other part, well that surprised me. I was not expecting the mastermind to be who it was. I felt bad that Fly was caught in the middle of that whole mess. I was on the fence on how to feel about Manon. I loved that she loved Fly and that she was willing to risk her job to prove his innocence. But at the same time, she seemed like she was never happy. I am wondering if it was because her character was pregnant. We all know how women get when they are in the last trimester of pregnancy. I know I wasn’t a joy to deal with. I also think that her decision to have a child was an impulse. The end of the book was good. My only complaint is there was so much going on that there was information overload. 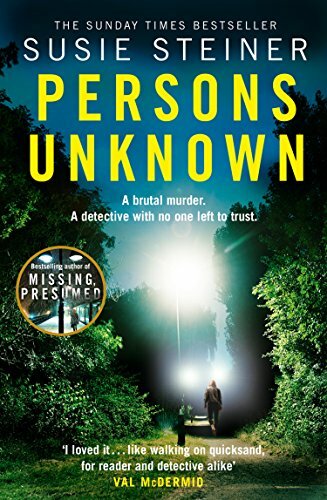 Person Unknown is a good British police mystery that does keep you on your feet while reading it. The only reason why I didn’t give it a 4-star rating is that I felt that there was information overload in the ending. Other than that, this is a book that I enjoyed reading and I hope that another book is written in the DS Manon series.